Hard drives are all about how much you can store and how quickly you can store it. 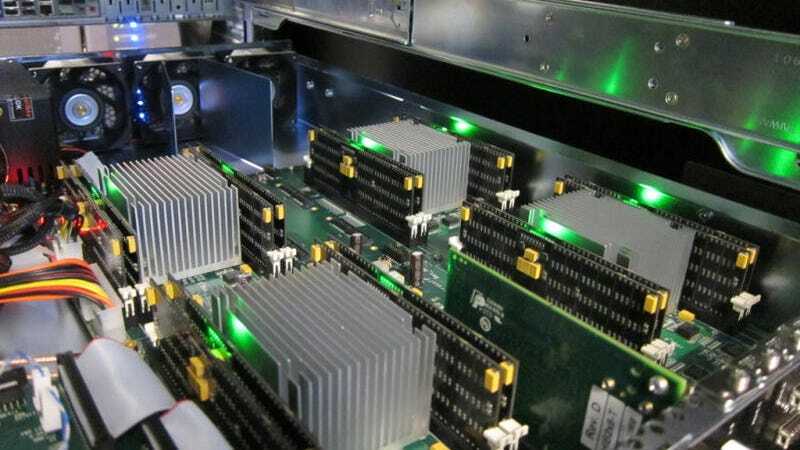 And this soon-to-be-unveiled phase-change memory drive is expected to up the ante quite a bit. Students and faculty from UC San Diego's Jacobs School of Engineering are getting ready to show off their newest SSD, "Moneta." But Moneta isn't just another solid state drive. Instead it's a phase-change memory (PCM) SSD, which stores data using a metal alloy called chalcogenide and, according to its makers, performs seven times faster than any flash-based SSD currently available. Which, you don't need me to tell you, would be pretty damn fast.